Blog Quick Quotes: Friday Challenge 82! 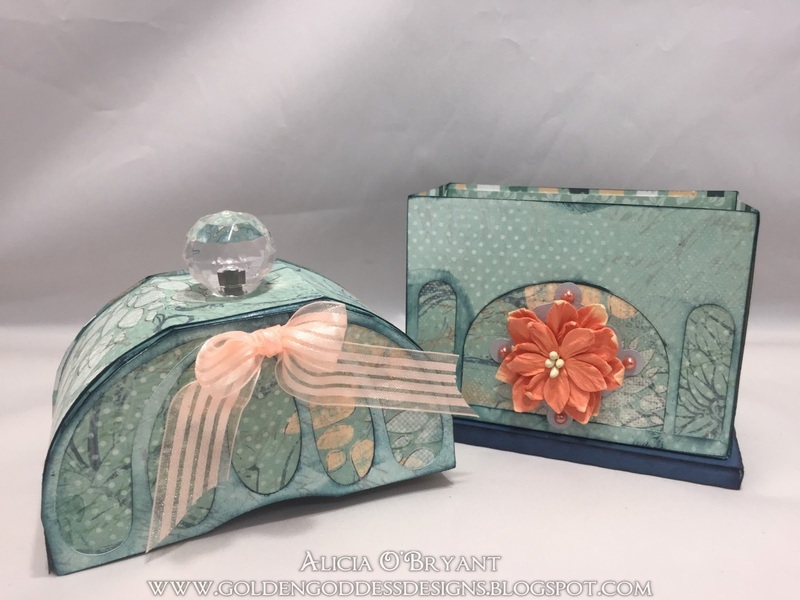 Hello, Alicia here to hosting the blog for you today! 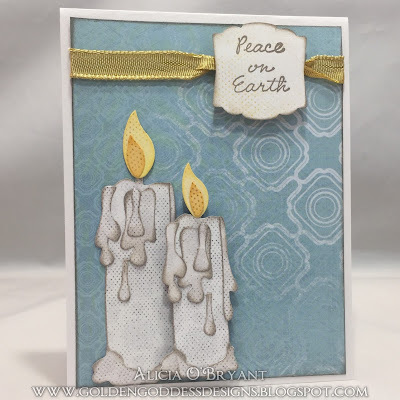 This month it's Friday Challenge 82 and our theme is... Use Die Cuts! 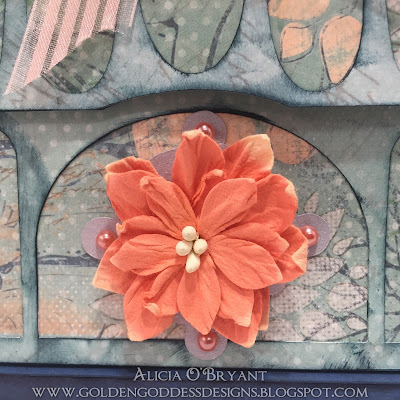 Be sure to stop back at the blog this weekend for the Winner Announcement for the November Friday Challenge 81 "Fall Colors". Also, don't forget there's a Design Team Call going on if you are interested in designing with some yummy Quick Quotes products! I created two examples using electronic and manual die cuts. 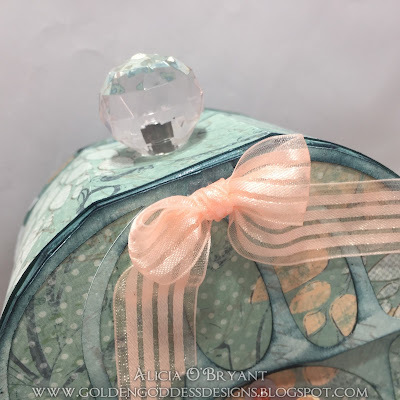 My first project is perfume box. I have never before used an SVG with my Cricut. I realize too late I chose a very detailed 3 dimensional project for my first attempt. In the end, I decided to scrap some of the accessory parts and put a crystal knob on the top. Here is a view with the lid removed. There were lots of layers and supports inside to make for a pretty sturdy little box. 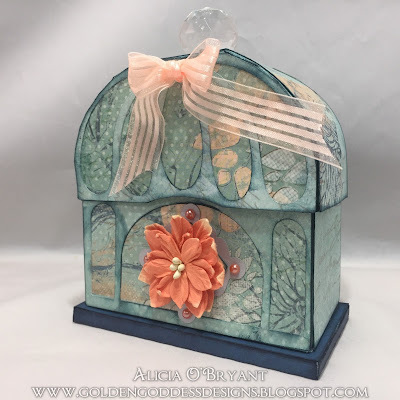 I added ribbon, flowers and pearls to accent the box. As I stated above, some of the pieces were not up to my standards, so I replaced the paper pieces with a crystal knob. I think it really adds a touch of elegance. Now, who will be the recipient? Just in case you don't own an electronic die cutting machine, I made an example using manual die cuts. I used Warm Gray Powderpuff Chalking Ink to edge all the pieces, it really adds to the three dimensional effect. I also stamped the sentiment with the same ink. I hope this gives you some ideas to create and play along this month! Thanks so much for stopping by today! This month's challenge theme is "Die Cuts". 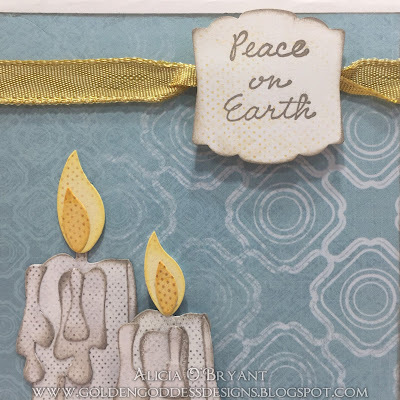 Create a layout, card, tag or off the page project that in any way includes Die Cuts - be creative! Challenge begins today and is open until 11:59 pm PST on 12/29. I am also facing the same problem. Kindly delete my entry no. 9! Thanks for the fun challenge!